Bone Mountain Motor Gear and its signature product, The BONE - the ultimate motorcycle back rest organizer, launch this week in Daytona Beach, Florida during Bike Week. The BONE is the first product of its kind and will change the way people ride motorcycles. The BONE will change the way people ride motorcycles. Bone Mountain Motor Gear and its signature product, The BONE - the ultimate motorcycle back rest organizer, launch this week in Daytona Beach, Florida during Bike Week. The BONE is the first product of its kind designed to enhance the safety, comfort and convenience of motorcycle riders by putting traveling necessities - water, snacks, keys, sunglasses and more- within reach of the co-pilot while the bike is in motion. "Imagine the comfort of having everything you need at your fingertips as you ride down the road," said Lisa Bone, President of Bone Mountain Motor Gear. "The BONE fills a critical passenger need and it will change the way people ride motorcycles." 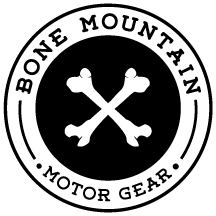 The BONE, along with a collection of fashionable apparel and merchandise, can be purchased online at http://www.bonemountainmotorgear.com. Bone Mountain Motor Gear makes products designed to enhance the safety, comfort and convenience of motorcycle riders. Find us at http://www.bonemountainmotorgear.com, Facebook and on Twitter: #BoneMountain.